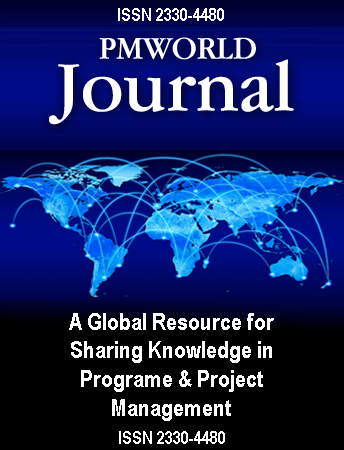 The PM World Journal (PMWJ) can be a useful resource for graduate students, academic leaders and others engaged in scholarly research related to program and project management (P/PM). Many articles, papers, case studies, news articles and reports published in the PMWJ can provide useful background information or references for current research projects. Researchers can contact individual authors for more information; most will appreciate the contact and interest in their work. Over time, the PMWJ archives will prove even more useful for researchers. Visit the PM World Library for access to many more articles, papers and information. The PMWJ can be useful for individual research projects, by publicizing the research, highlighting research or survey needs, and providing links to research-related websites or contacts. Researchers should submit a short article describing their research project, what is needed and how readers can help. Contact editor@pmworldjournal.net. While the PMWJ is not a refereed journal, it provides an easy and straightforward means of publishing articles and papers related to P/PM. If you have research results, new models or methodologies, new knowledge to share, consider submitting a paper for publication in the PMWJ. A peer review might not be needed; get the word out quickly about your research and the results. Research related to P/PM can be showcased through news articles in the monthly PMWJ. Researchers, research networks, research conferences, research programs and the universities themselves can be the subjects of news stories published in the PMWJ. And read the PM Research News section each month to see what other researchers are doing.